How progressive is Corporate Tax Singapore? Home » Blog » How progressive is Corporate Tax Singapore? Singapore’s pro business landscape is reflected in its corporate tax Singapore regime. Currently, the Singapore corporate income tax rates 2013 stand at 17% and is considered to be one of the lowest in the world, an attractive feature for foreign investors. The system of Singapore taxation is well regulated and administered by Inland Revenue Authority of Singapore (IRAS). 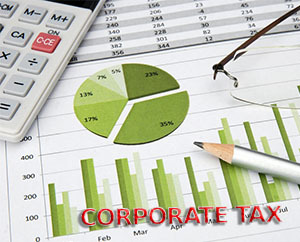 Corporate income tax Singapore has been a key driver behind the booming economy of the island nation and a major determinant that makes foreign investors and entrepreneurs take plunge into doing business in Singapore. The regime of taxation Singapore believes in a single tax system and not having multiple tax burdens on companies or businesses. Singapore company tax encompasses a slew of tax benefits and incentive for the tax resident of the country. There are no other taxes in Singapore other than the corporate tax Singapore if 17%. Companies are even free from paying taxes on capital gains or dividends earned by the shareholders as the nation follows single-tier tax system. The government of Singapore has taken several measures to avoid double taxation. The country has bilateral taxation treaties with many countries from around the world. Furthermore, it does not even tax foreign sourced income if that income is not deemed to be remitted to Singapore. Apart from having the lowest corporate income tax rates and other benefits like double taxation treaties, absence of capital gain, one-tier tax system, the city-state offers other benefits to lower the tax burden of a company. One of those benefits is full tax exemption scheme. The Full tax exemption scheme is applies to newly start-up companies which allows zero tax benefits to the companies on their first S$100,000 taxable income for each of its three consecutive years. Partial tax exemption is an additional advantage that the Singapore taxation regime has to offer. This scheme allows tax exemption of 75% on the first S$10,000 of annual profit and 50% portion of next S$290,000 annual profit to all Singapore incorporated companies. The government of the nation is liberal and believes in having simple and easy to comprehend taxation policy. The company tax Singapore is an enduring example of their policy as it provides a win-win situation for both business and economic sectors of the country. From the above analysis, what we can conclude is that-yes, corporate tax Singapore is progressive than most of other developed countries jurisdictions in the world. Despite the fact that taxation Singapore policy is easy to understand and simple, the one who lacks knowledge on the Singapore tax planning, structure and compliance matter may find difficulties in figuring out the accurate tax amount. In such case, they can hire reliable provider of tax services in Singapore. The third party tax services Singapore will provide the taxpayers with the adequate knowledge on taxation Singapore and assist in tax planning in Singapore, filing annual return and so on and so forth.